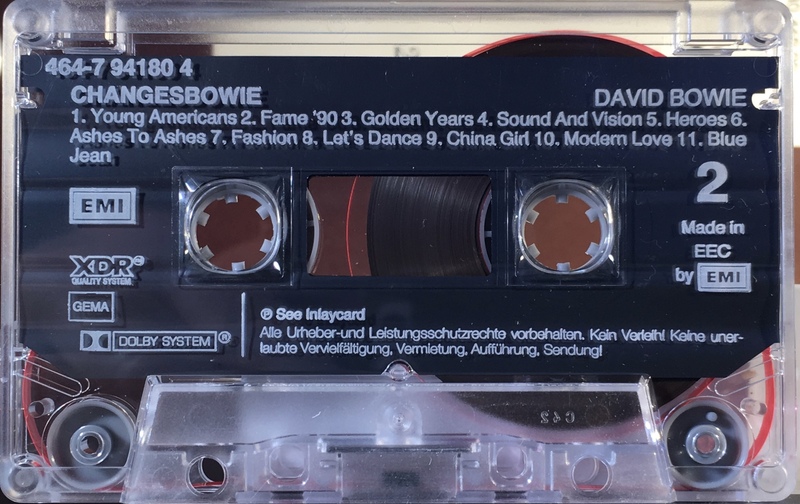 Changesbowie: EU; EMI, 464-7 94180 4; 1990. Four panel cover on treated, folded card with perforated spine crease and full panel cover photo; inner picture panels; light blue spine and blue rear panel. The inside and inner panels are a pictures collage. 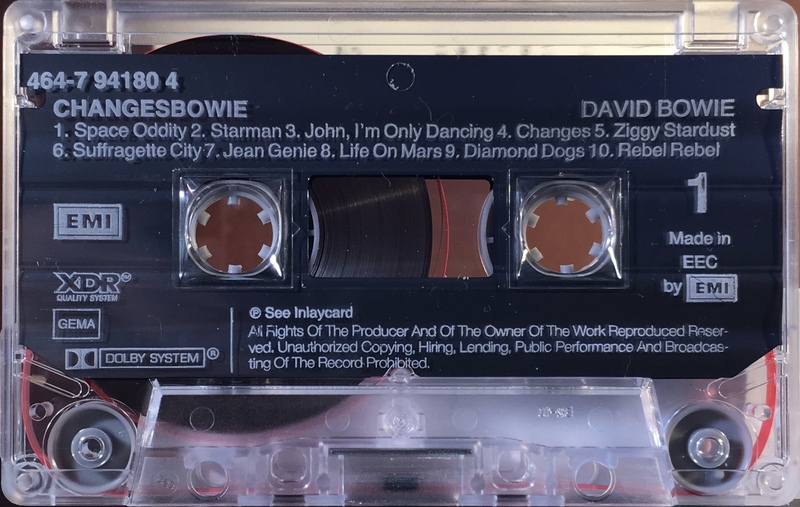 The rear of the cover has band and production information. Track list on rear and inner panels. ‘Marketed, manufactured and distributed by EMI En France: distribution exclusive EMI Pathé marconi S.A. Deutschland: EMI Electoral GmbH’ on rear of inner panel. White ink printed directly to clear shell with shaped slip sheet. ‘XDR’ and ‘Dolby HX Pro’ on shell. Information in German and English, GEMA rights and ‘Made In EEC’. ‘XDR’ was a process developed by Capitol Records to provide higher quality audio and is the American branding of their original Canadian SDR (Super Dynamic Range) released in 1982.